Students at Valley Academy should be well groomed and neat in appearance. All clothing is to be well fitted (neither oversized and baggy, nor tight and form fitting) and in good repair. Any infraction of the dress standard will result in a dress code citation being issued. 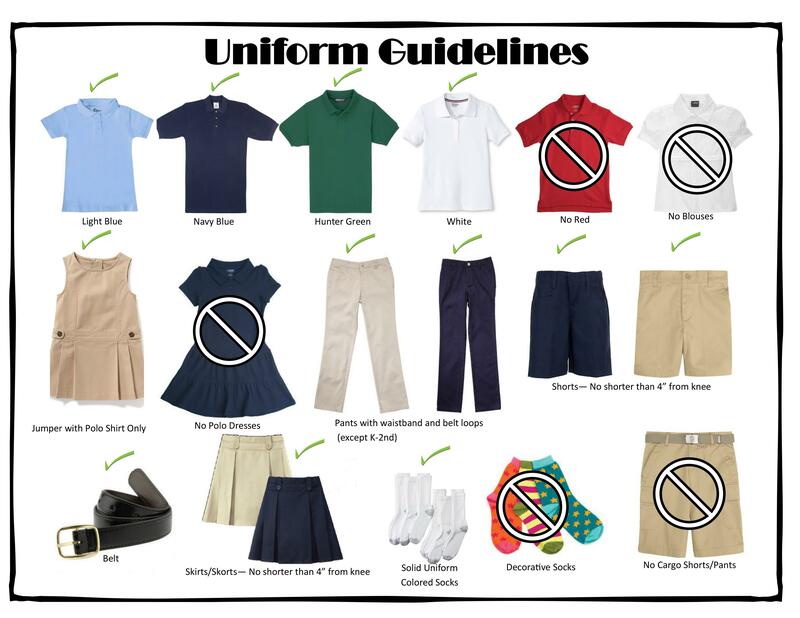 4 dress code citations (K-3) and 3 dress code citations (4-8) in one grading period will result in a detention. Repeat violations may be treated more severely.